Levy Park, neighborhood of the year. Branch St. with the church in the background. Leon County Supervisor of Elections Ion Sancho standing over blown up images of the county's voting precincts. Branch Street has this classic neighborhood feel. The schools, the park and the grocery store are all just a few blocks away. People know their neighbors, and the kids actually play outside. There are lots of little wooden houses called bungalows, think front porches and screen doors. And some people on Branch Street are pretty surprised to hear they now live on the dividing line between two deeply partisan districts. Take Pam Jones. “That makes no sense whatsoever,” she said. 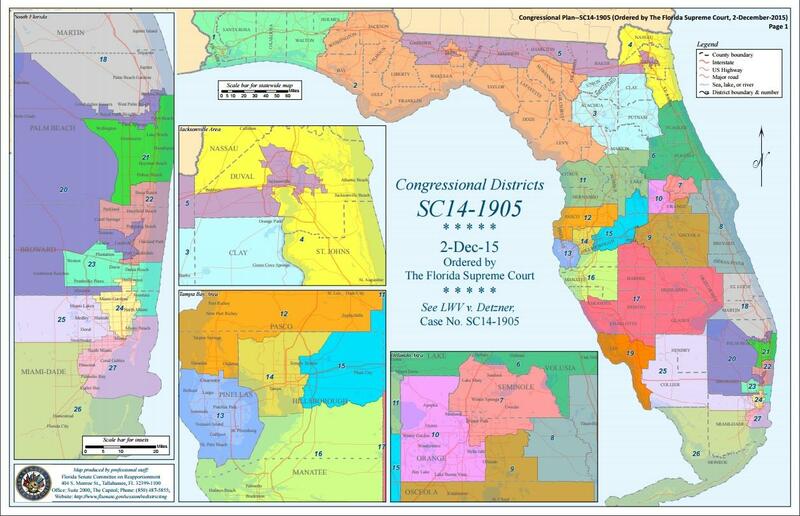 Leon County used to be all in the same congressional district, CD 2, and represented by one person in Washington. But the new CD 2 spans the Panhandle from Panama City to Ocala, picking up half of Leon County. 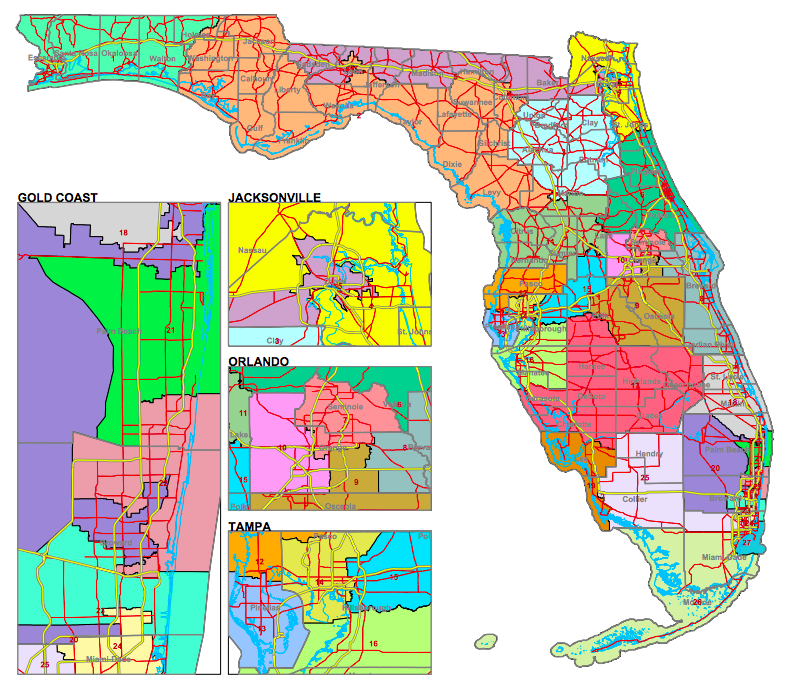 The rest of the county is lumped in with Congressional District 5, which runs along the Florida-Georgia line from Gadsden County to Jacksonville. CD 5 leans hard to the left, CD 2, hard to the right. “Well you know, I think somebody’s done some rigging,” said Jones, laughing. Other neighbors are well aware of the changes. Steve and Penny Whittaker are Democrats and they’re happy to live on the Democratic side of the street. "I think it's silly. I know my neighbors across the street a lot better than I know anybody in Ocala." But up and down Branch Street, the question keeps coming up: why here? We spoke with Isaac Miller, and his dad Henry. “I think it’s silly. I know my neighbors across the street a lot better than I know anybody in Ocala,” said Henry. We actually spoke to the Henry’s neighbor across the street, Thomas Gast. Full disclosure, Thomas was one of my instructors in college. We just happened to knock on his door. “Obviously the dividing line has to go somewhere. So I’m sure wherever you put it, people are going to be on the other side of the street being like ‘well this is weird because this is my neighborhood’. But since it is my neighborhood, it does seem particularly strange that such a small street like Branch Street would be the dividing line,” said Gast. For the people on this street, poring over these maps that split their neighborhood in half, it feels arbitrary, careless even. And that undermines their faith in the system at large. Nick Quinton with his boys Jackson (left) and John Robert. You heard John Robert cannonballing us at the beginning of the story. One person we spoke to says those feelings are justified. Nick Quinton is a redistricting expert, and he lives on Branch Street. Seriously. He says this kind of redistricting doesn’t mean voters get better representation. “Yeah I think that the argument that we’re getting more partisan because of redistricting is entirely valid. I don’t know how you get around it. And it blows my mind that we don’t we don’t talk about that more than we do,” Quinton said. And for Quinton the irony is, everyone on Branch Street, democrat or Republican, CD 2 or CD5, they’re all going to vote in the same polling place. “You know we vote here," Quinton says, "We vote at the church." “We’re at 1609 Branch Street at the Family Worship and Praise Center,” Michael Frye says as the eleven o clock service lets out. He’s a church deacon and he’s been working elections here since 2004. 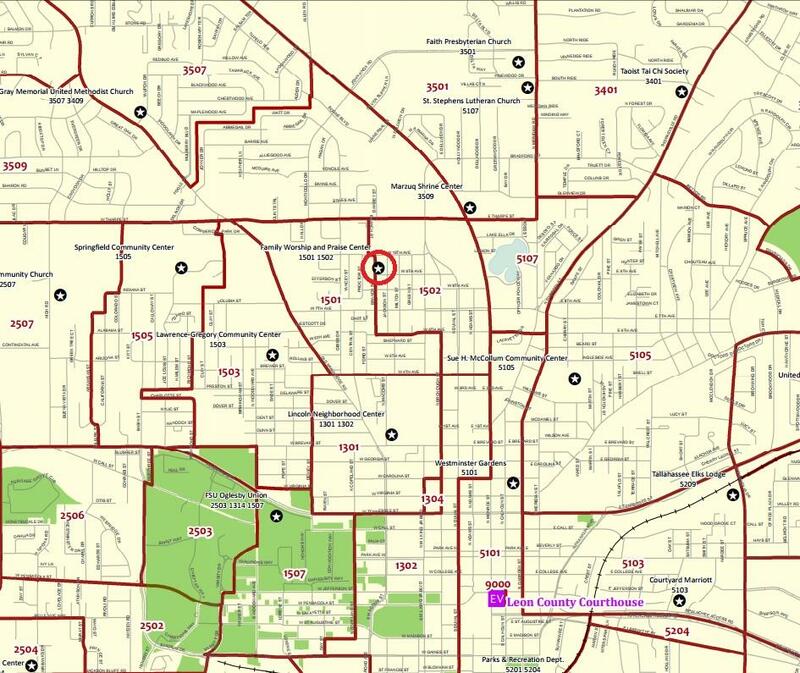 Leon County's voting precincts in the Levy Park neighborhood. Family Worship and Praise Center is circled. And what Quinton says is true—no matter which side of Branch Street a voter lives on, this is where they’ll cast their ballot. Come August 30, he’ll be there early making coffee, laying out snacks and opening up the doors for poll workers. Residents living on opposite sides of the street find themselves in different districts, but they come together on Election Day at the local church. It’s actually a bit of nightmare for Election Supervisor Ion Sancho. On a map he shows us Branch Street isn’t the only place where the old precincts and new maps didn’t quite line up. “This is what it looks like now,” he says, jabbing a finger at split precincts. It’s complex—as in 612 different ballot styles in Leon County alone—complex. And it just raises the question: why Branch Street? Why any of these streets? “So the short answer of it just comes down to race,” Matt Isbell says. He’s a mapping expert who does a lot of work with groups aligned with the Democratic Party. What he’s talking about is District Five—the one running from Tallahassee to Jacksonville. It’s a minority access seat, which means the minority community needs to be able to elect a candidate of its choosing. But there’s a fine line between minority access and minority packing. 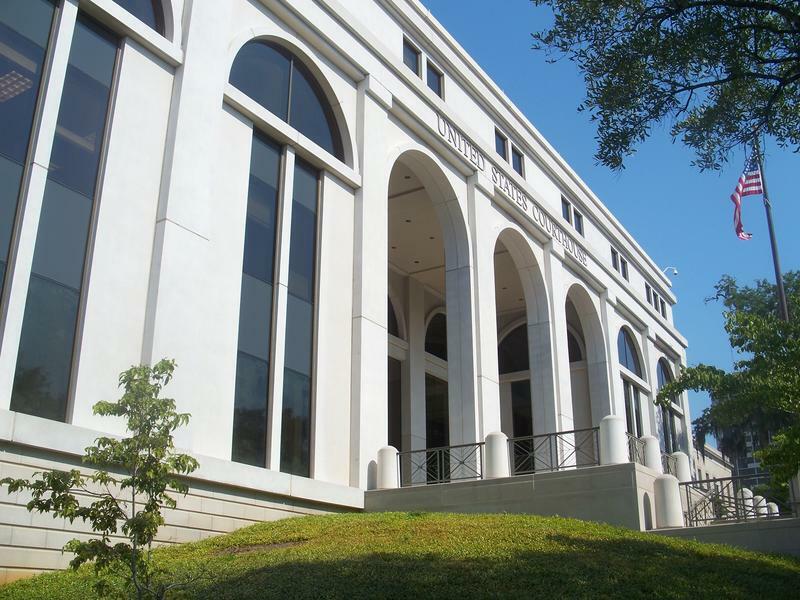 The Florida Supreme Court decided the Republican-controlled Legislature crossed that line in 2012 and it sent lawmakers back to the drawing board. "So the short answer of it just comes down to race." But Isbell explains there’s another consideration that encourages district borders along small streets like Branch, and it’s sort of the most fundamental tenet of electoral politics. One person, one vote. Isbell says this demand—that congressional districts be equivalent in population, plus or minus one person, can actually force mapmakers to split neighborhoods like Levy Park. “That creates a scenario where in order to get that number, which you normally are drawing these districts with census blocks, you have to basically find that one census block that’s got five people, or ten people, and that’s not just a census block—that’s a neighborhood. That’s like a community,” Isbell says. Supervisor Sancho says 115,000 Leon County voters will be in a different district this election. Another 7,000 will find themselves at a new polling location. There are 67 counties in Florida. It’s not clear how many other Branch Streets there are strewn across the state—how many other Floridians will be voting in new districts, but Isbell suggests it could be more than a million.